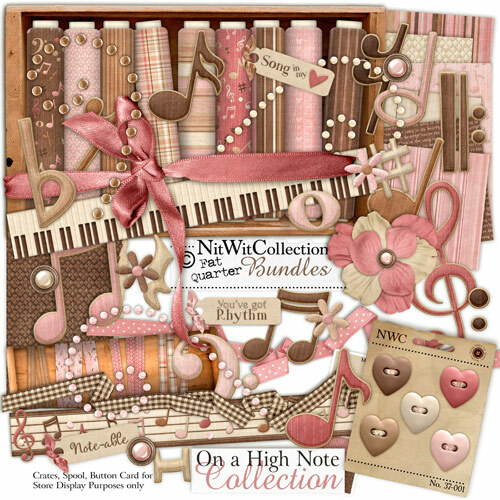 My "On A High Note" Collection is yet another in this series! So what business does someone who's almost tone deaf and can't read a lick of music have making a musical kit? Well I suppose it makes me appreciate those who have those talents all that much more! hahaha This kit is sure to hit all the right notes with all things musical! Hopefully it will inspire you to celebrate those special people that are the songs in your hearts! Bring some music into your life!